Charnock Richard Parish Council is looking to build on the heritage of both villages by forking out on a series of distinctive road signs and noticeboards. It is hoped the council's efforts will also encourage more householders to name the areas as part of their postal address. Signs for Welch Whittle, an area which local historians believe dates back to the 13th century, are currently being manufactured by inmates at Wymott Prison. 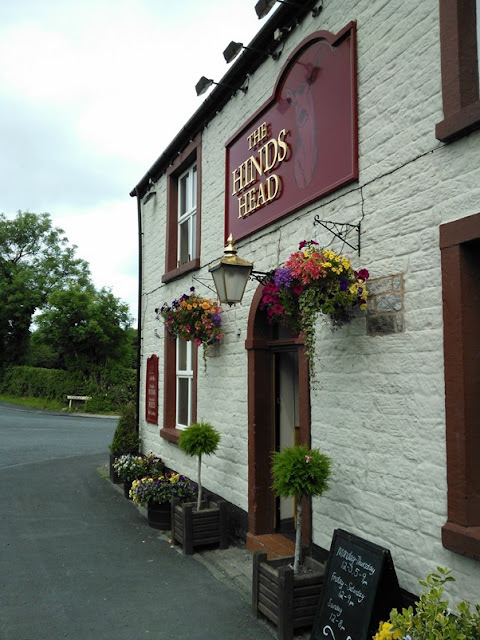 Alan Shaw, chairman of Charnock Richard Parish Council, said he hoped the signs would improve the area's chances of scooping awards in Lancashire's Best Kept Village Competition. Welch Whittle was highly commended last year in the competition's small village category. Mr Shaw, who lives on Town Lane in Welch Whittle, said: "What we are trying to do is recreate the historic past of Charnock Richard. Welch Whittle dates back centuries. But it's like a lot of other areas across the country that have got a little bit forgotten about. 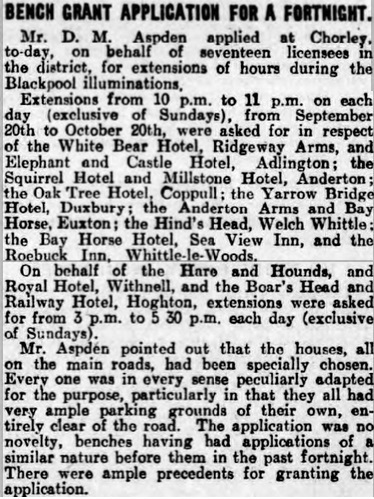 "Certain establishments like the electric company still refer to the area as Welch Whittle but it has got lost as far as the populous is concerned." He added: "I live in Welch Whittle and am very proud of that.We are making brand new signs in Welch Whittle to announce the area and we'll be doing some more for Bolton Green soon. Hopefully, more and more people will refer to them in their postal address." 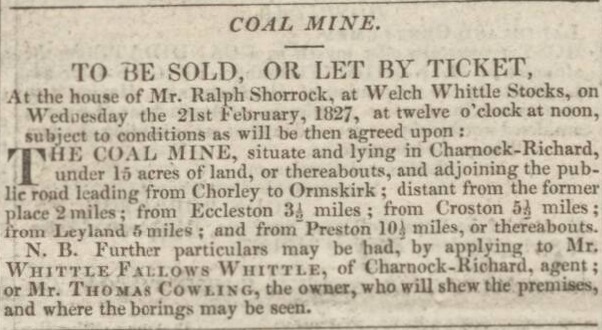 Welch Whittle became part of Charnock Richard in the 1930s and local historian Ray Winstanley believes the area could date back to the 13th century. 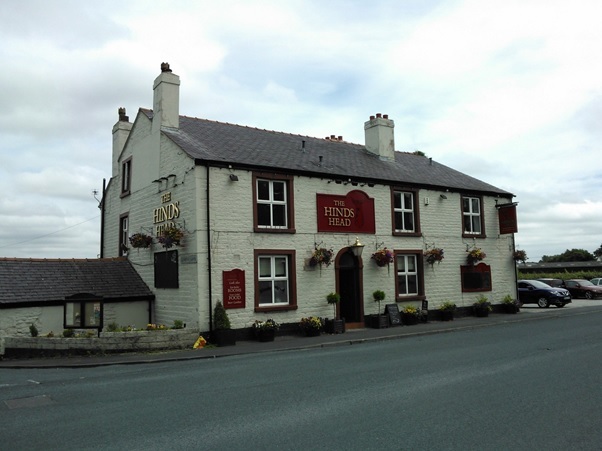 He reckons the Hinds Head pub, on Preston Road, could be the area's centre. Mr Winstanley, who with wife Janet wrote Survivors: An Illustrated Record of the Older Buildings in Charnock Richard, said: "The Hinds Head dates back to 1800 and used to be known as Whittle Stocks Inn. "If stocks actually existed outside the inn then it's more than likely to have been the centre of the township." two crosslets fitchy in pale and as many escallops in fesse of the field. 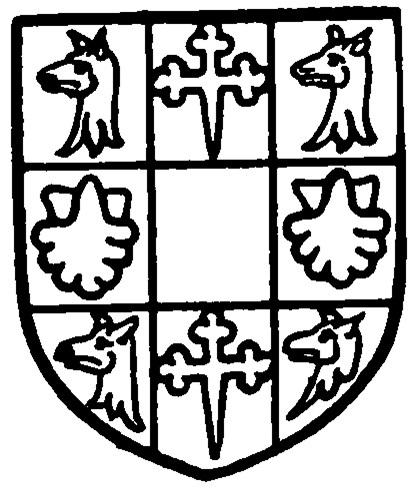 Geoffrey de Wrightington about 1365 received from Henry de Torbock the manor of Welch Whittle, with lands in Wrightington and Coppull, as a reward for assistance in recovering his inheritance. John son of Robert Wrightington died in or before 1503, leaving a son and heir Thomas Wrightington, who died in December 1544 holding eight messuages and various lands in Wrightington of Nicholas Butler and Robert Kirkby in socage by a rent of 18s. 4d. 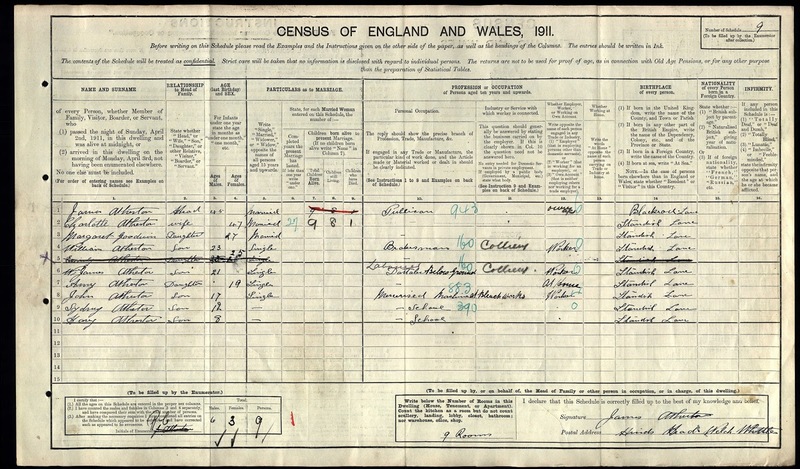 ; also holding the manor of Welch Whittle and lands, &c., there and in Shevington and Coppull. His heir was his son John, aged fifty-seven. 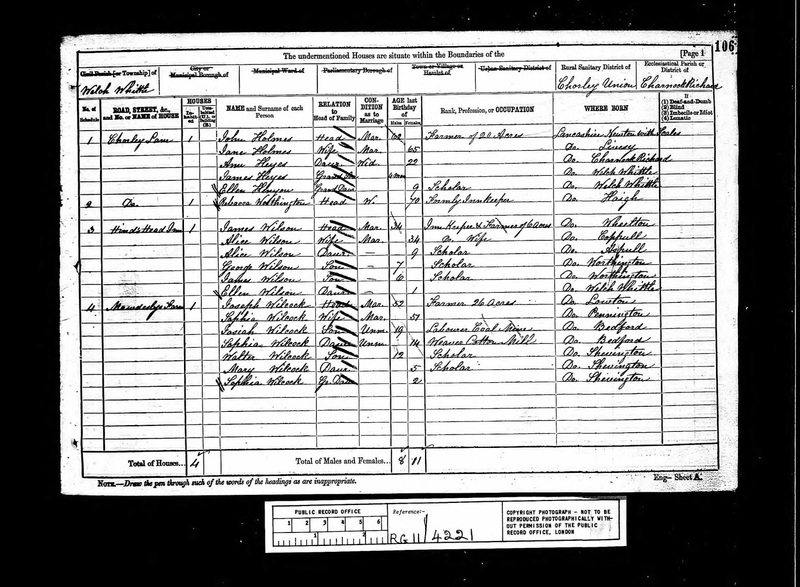 Edward Dicconson of Eccleston married Anne daughter of a later John Wrightington, and is said to have succeeded to the family lands. 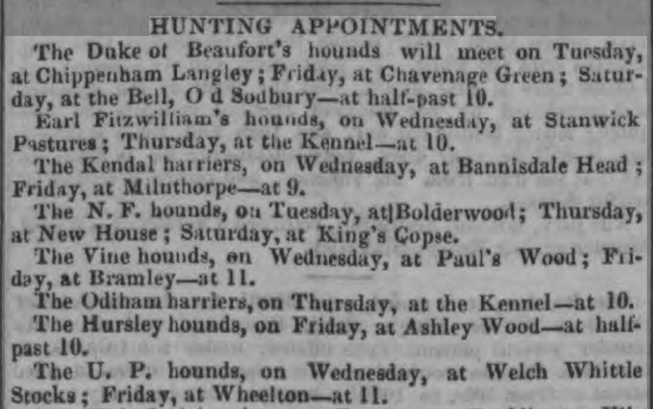 A brief pedigree was recorded in 1664. 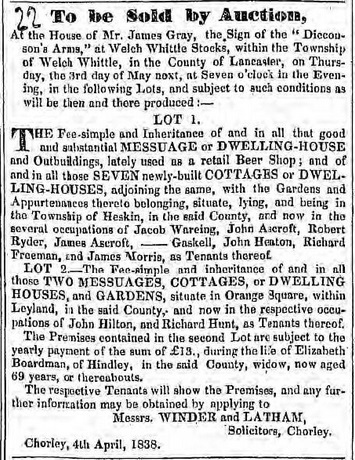 It is certain that the Dicconsons acquired a large portion of the land in the township, and in 1723 Edward Dicconson and Mary his wife made a settlement of their 'manors' of Wrightington, Shevington and Welch Whittle. Edward was succeeded by his sons William and Edward, and on the death of the latter in 1812 the estates went to his nephew Thomas Eccleston, who resumed his family name of Scarisbrick and died in 1809. His younger son Charles took the name of Dicconson on succeeding to Wrightington, but he also afterwards resumed his family name on becoming lord of Scarisbrick. On his death in 1860 Wrightington passed to the son of his sister Elizabeth, who had married Captain Edward Clifton. She took the name and arms of Dicconson, and died in 1862. The estate was held in turn by her sons Thomas, William Charles and Charles. The last-named died without issue in 1895, and was followed, according to his dispositions, by his nephew Robert Joseph Gerard, a younger son of the first Lord Gerard by his wife Harriet Clifton, who has added the name of Dicconson to his own. 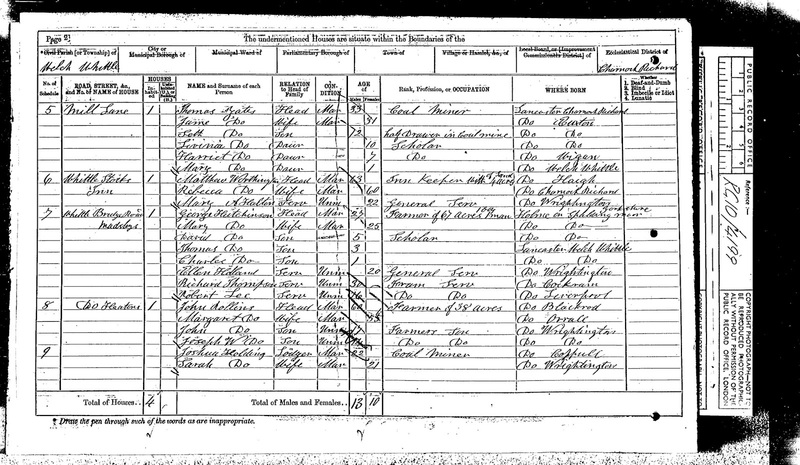 The Dicconson family in the main adhered to the old religion. Inquiry was made in 1694 as to lands of Hugh and William Dicconson alleged to be appropriated to 'superstitious uses.' William Dicconson, eldest son of Hugh, was a zealous Jacobite; much of his estate was confiscated, and he went into exile dying at St. Germains in 1743. 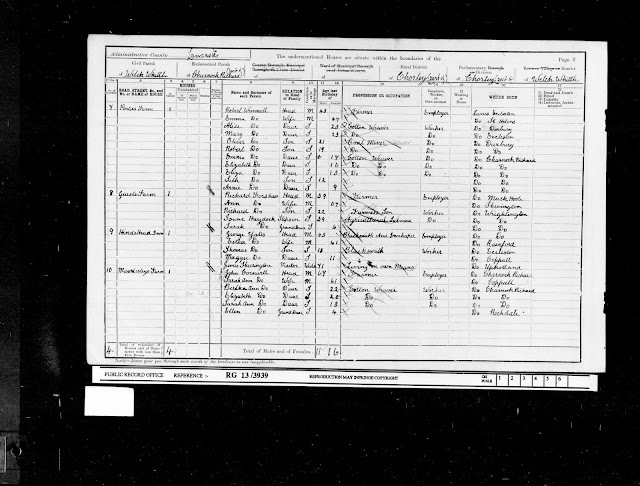 Roger, a younger brother, was outlawed in 1715, but appears to have retained the family estates, the abovenamed Edward Dicconson of 1723 being his son. The most distinguished member of the family was a younger brother of William and Roger, Dr. Edward Dicconson, professor at Douay, and afterwards Bishop of Malla and Vicar Apostolic of the Northern Province. Heresided at Finch Mill in Shevington, and is buried in Standish Church, where there is a monument. 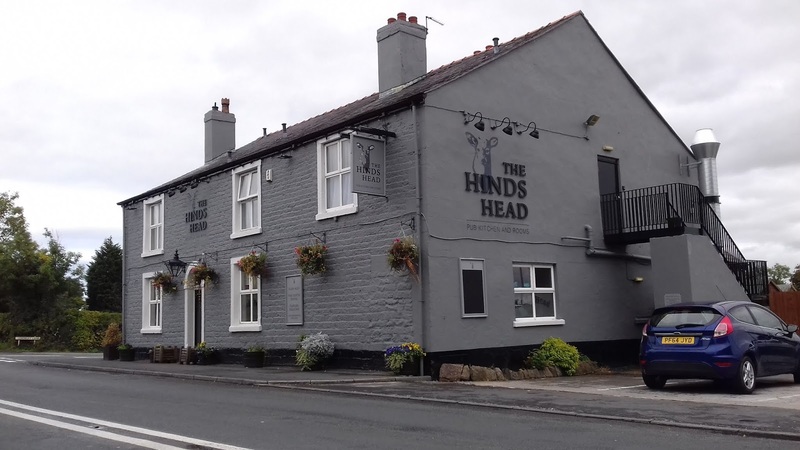 Listed landlords of the Hind's Head were Ralph Shorrock (1827), James Gray (1838-1859), Rebecca Gray (1859-1863), Mathew Worthington (1863-76), James Wilson (1879-81), Alice Wilson (1885), Henry Kenyon (1891-1895), George Yates (1901), James Atherton (1911) and Mrs. Fairhurst (1920). 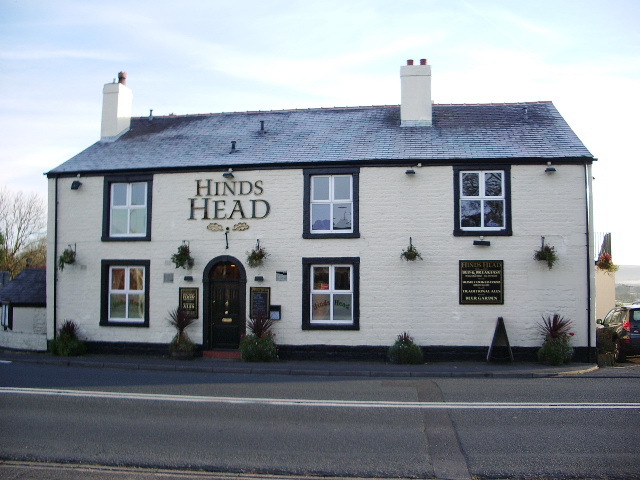 Typically of many farming areas the local hunt would meet in the centre of the village, often at a public house and the Hind's Head was no exception. 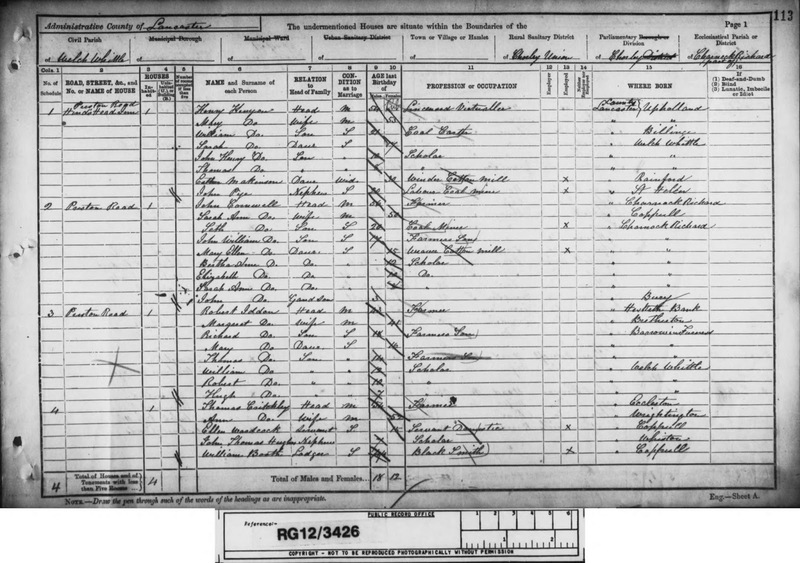 It was also used as a venue for Coroner's inquests as can be seen further down the page. 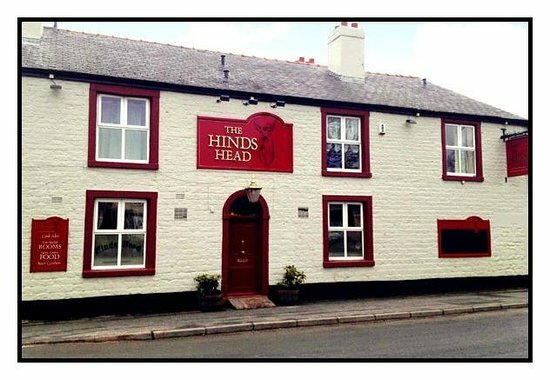 James and his wife Rebecca Gray ran the Hind's Head together from the 1830's through to late 1859 when James passed away. 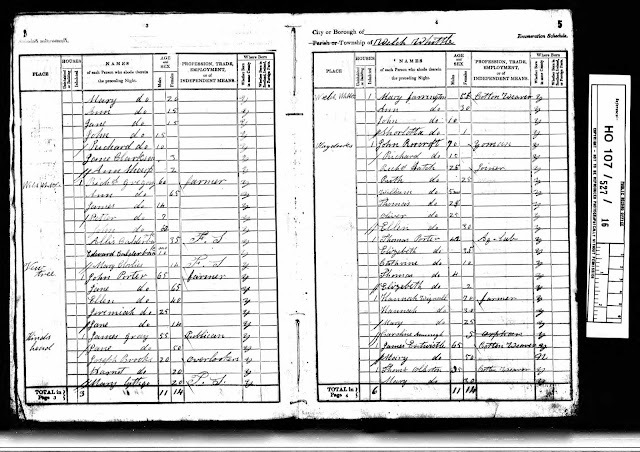 Local records show his burial took place on 1st Dec 1859 at St Wilfrid's church in nearby Standish; he was aged 73 yrs. The 1861 census record shows Rebecca as a widow running the premises although we can see that she later remarried on 31st May 1863 at St Mary the Virgin, Eccleston. 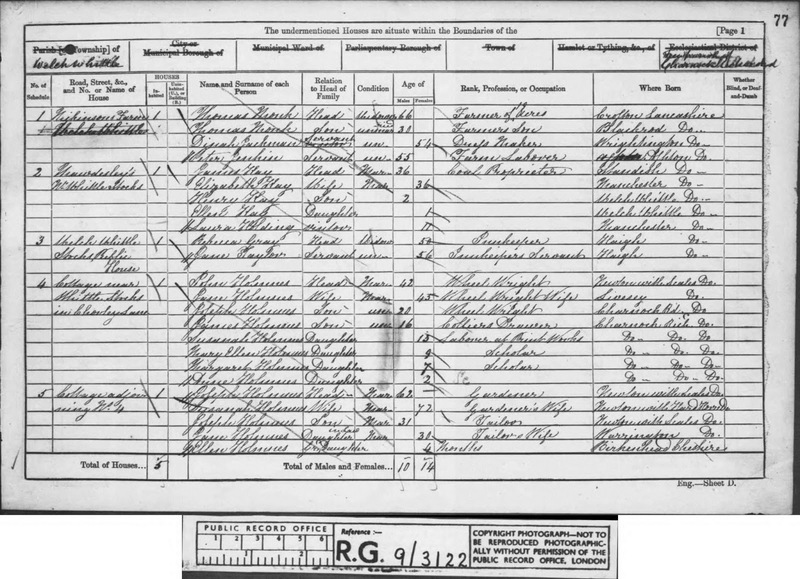 Her husband was another widower, Matthew Worthington and they can be seen together on 1871 census running the pub. Rebecca's father was William Jennings who was a local farmer. 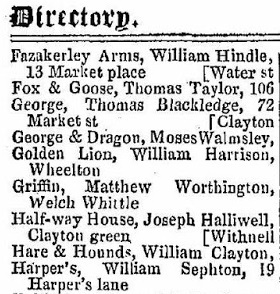 The directory above confirms that the pub was known as the Griffin for a period of time when under the management of the Worthingtons. 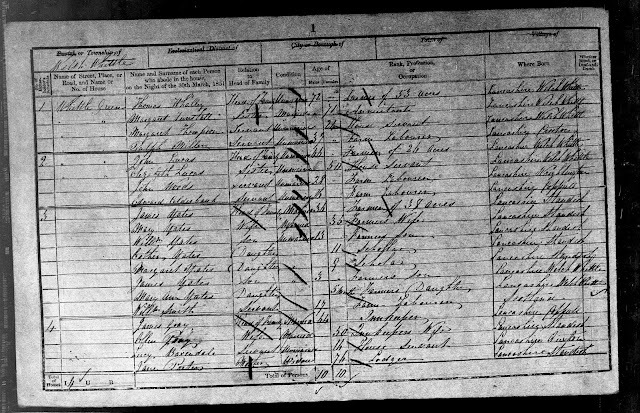 Matthew Worthington died in 1876 and was buried on 14th Aug 1876 at Christ Church, Charnock Richard aged 69 years. 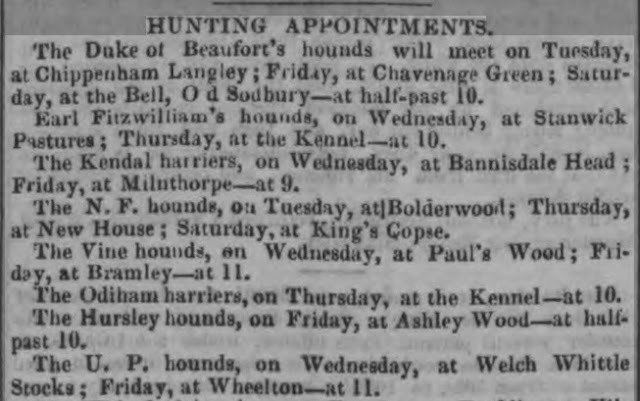 At that time they were still living in Welch Whittle presumably running the Hinds Head but by 1881 Rebecca was no longer there. Lancashire parish records confirm that Rebecca had moved to Buckholes Lane in Wheelton, her burial is recorded as taking place on 16th Jan 1883 at Christ Church, Charnock Richard; she was aged 72 years. 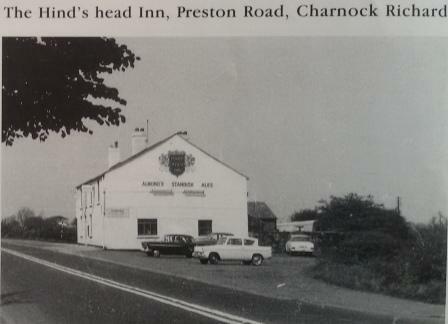 After the Worthingtons departed the named changed from the Whittle Stocks Inn to the Hind's Head In, a name it has retained to this day. Landlord in 1881 was James Wilson who was the son of George Wilson who ran the Allison Arms up the road in Coppull. 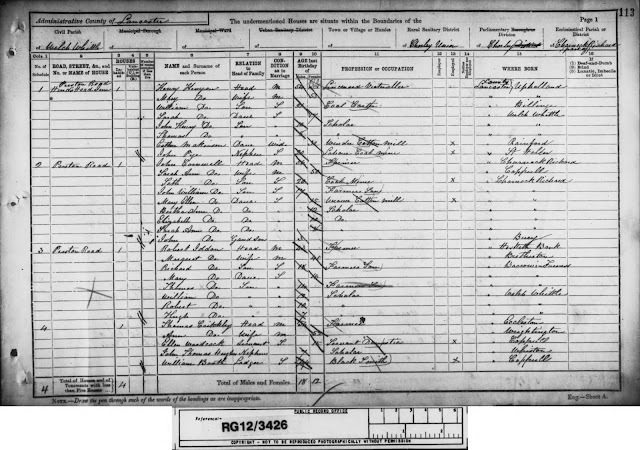 The Wilsons were from publican stock as James' Grandfather , George Wilson Snr had been the Innkeeper at the Black Lion Inn in Heapey in the early part of the 1800's. 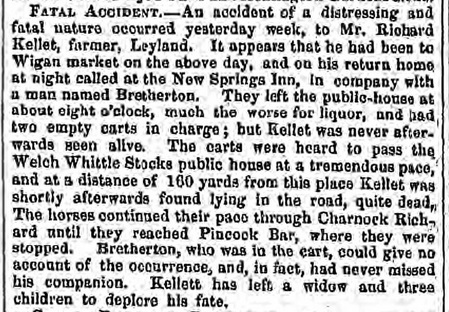 On 23rd January 1895 the Commercial Gazette from London declared the bankruptcy of the Henry Kenyon, then Inn Keeper at the Hind's Head Inn. James is George Wilson's son(who had the Alison Arms). Hello again Richard,I have been reading"A history of Charnock Richard"by Ray and Janet Winstanley,and they have James as landlord from 1879 to 1885,and Alice in 1885.So far I have been unable to find a death for James,or indeed any record of James,Alice or their children after this date.